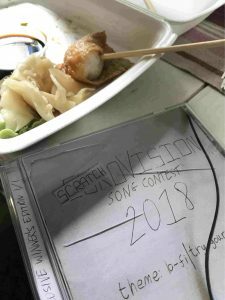 Scratchovision 2018: get your CDs now! As mentioned in the last post, the 21 entries from the 2018 Scratchovision Song Contest are being released on CD. If you want one of these, they’re now available on Bandcamp. There’s a small cost for non-winners who’d like one, which is pretty much the minimum it costs for the supplies. I’m not going to consider this a limited edition unless there is overwhelming demand – if the quantity counter hits zero, that just means you have to wait a bit while I order some more jewel cases. Stay tuned because I might also make a post about the behind-the-scenes of the voting process – I’ve been doing some analysis on the data from across all three contests so far.